Lyndi Trischler is 23 weeks pregnant and feeling the stress of her pregnancy. Pains in her abdomen, difficulty breathing, and even heart palpitations are making her daily routine difficult to endure. She is not having a difficult pregnancy though, instead it is her job and the attire she must wear that is causing the despair. Lyndi is a police officer in Florence Kentucky and the gear that she must wear during her 10 hour shifts is becoming too much for her to handle. This is Lyndi’s second time being pregnant while on the force. The first time, she was given a desk job when the job became too dangerous for her and her unborn child. She remained at the desk job until the pregnancy. However, this time the request for a desk job has been denied due to a job modification rule change within the city. According to the department, she has two choices. She can either continue to patrol the streets for 10 hours a day, wearing the required gear, and put herself, her unborn child, and possibly others in danger, or she can take a leave of absence without pay. Due to the strenuous nature of the job, she was forced to take the unpaid leave on July 2nd. Lyndi is due on October and feels that being pregnant was the focus of discrimination against her. 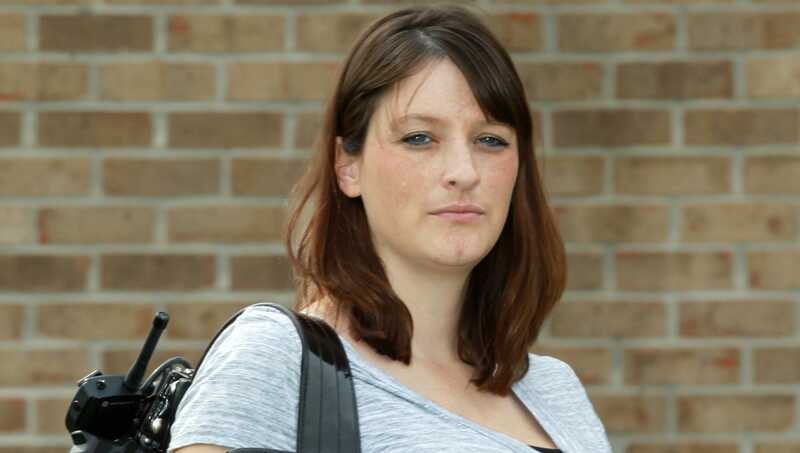 She filed an official complaint with the City of Florence, stating that they were in violation of the Americans with Disabilities Act and the Pregnancy Discrimination Act. Officer Trischler has a Master’s Degree in Criminal Justice and loves her job dearly, but is unsure whether or not she will return to the department when her pregnancy leave is up. Lyndi’s job is protected under the Federal Family and Medical Leave Act, but the danger that she is being placed in may be too much for the city to expect of her. What are your thoughts on the city’s expectations of her during the pregnancy? Should they accommodate her, or do you feel that they are within their rights to keep her on duty?